Here on the Big Island of Hawai’i, we’ve been seeing a lot of the deadly things that Nature can do to us and the land on which we live. The lava has been flowing since May 3, 2018, and so far there’s no indication that it’s going to stop any time soon. Not only has lava destroyed the homes of hundreds of people, it’s also destroyed a beautiful jungle, some of it wild and some of it domesticated by devoted gardeners such as my husband. But the other side of nature, that which grows and nurtures, is featured in one of the most beautiful suites in the Stampin’ Up! 2018-2019 Catalog, Nature’s Poem. Today I’ll be featuring some cards from that suite that sister Stampin’ Up! demonstrators have been sending me over the past month or so. 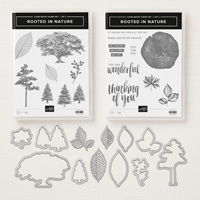 These first two cards both use both the “Thinking of You” sentiment from the Rooted in Nature Stamp Set (a definitely favorite of mine!) 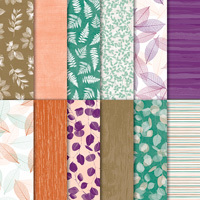 and the Nature’s Poem Designer Series Paper set. They also use the Nature’s Roots Thinlits Dies to create the leaf images that accent their designs. 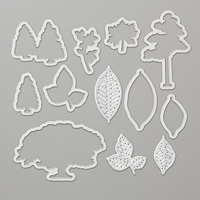 They also use the Big Shot Embossing Mat to texturize the leaves. The next two cards feature the same stamp sets, papers and dies. But the card on top doesn’t use any sentiment at all, which makes it great for any occasion. What’s interesting to me about the bottom card is that it just uses part of the sentiment in the stamp, the full text of which is, “To thank you for all you do.” It’s a nice touch just to use the first part of it. Another nice touch is that the cross cut image of a tree trunk is hand-cut. There is not a die for it. But it’s an easy shape to cut, so why not? This final card in the set doesn’t use the dies at all. 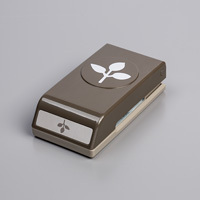 The leaves are punched with the Leaf Punch, which has been carried over from the last Stampin’ Up! catalog. The sentiment is from the new Enjoy Life Stamp Set. I’ll be featuring cards made with more images from this set in another post. With all that’s on these cards, I do believe that my favorite product in this suite is the Designer Series Paper set. There are so many other stamps, both new and old, that would be perfect with this paper as a background, don’t you think? Let me know if you’ve made one. 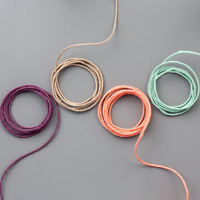 Here are the products featured in this post. 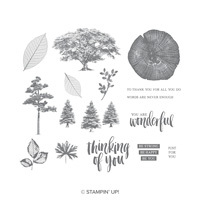 Do click on any of the images to learn more about them and also to order them from my very own 24/7 Stampin’ Up! Store!